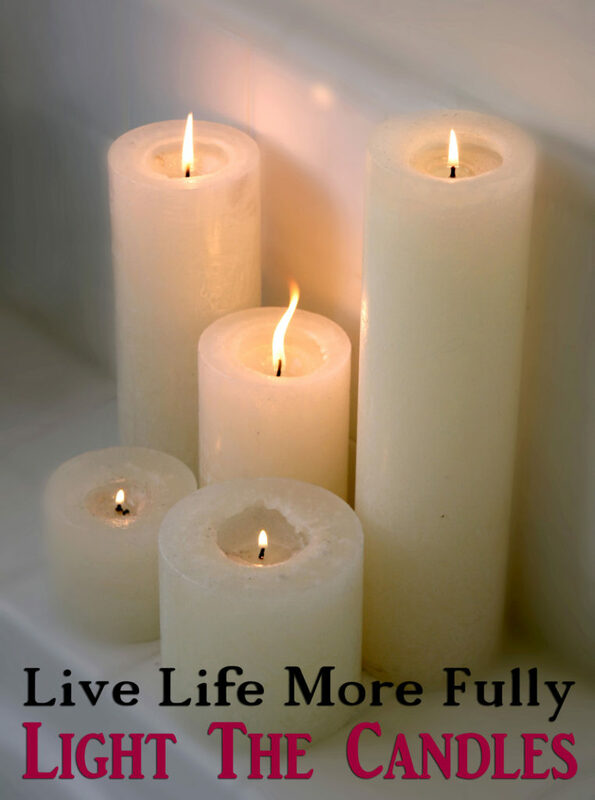 Live life more fully! That’s what I plan to do this year. I don’t really believe in New Year’s Resolutions and I wrote a post about that recently, why I believe goals and priorities are more important and achievable. However I do think that the beginning of a new year is the best time to assess and evaluate your goals and priorities – so whatever you want to call it, goal or resolution – one of my biggest this year is to live life more fully. I don’t mean take lots of trips to exotic locales or do anything wild and crazy, but to take more joy in the small moments. Life is what happens while you’re busy making other plans. Thanks so much for a fabulous 2016! 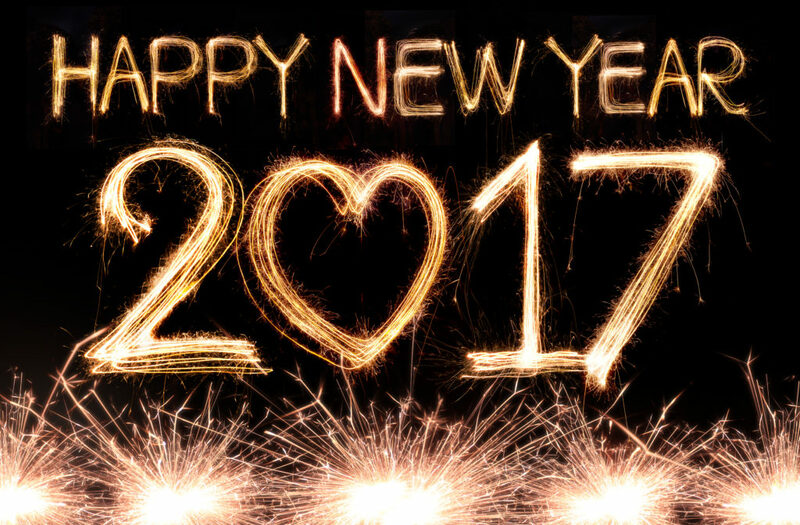 Wishing you all a healthy, happy and prosperous New Year! I don’t know about you but gone are my days of dashing out at 10 pm in a dress, heels, and sparkly party hat to begin a New Year’s Eve party – now it is more likely to include me wiping noses that are fighting off a cold and very likely to be asleep by 10 pm. But I am not complaining! I am very happy to have my family and spend my time with them, it’s just that it is probably not exciting by most people’s standards. That doesn’t mean we don’t do anything at all to ring in the New Year, we just go a different route. Here are some ideas we have done in the past or are planning to do in the future in case your New Year’s sounds a bit like mine! 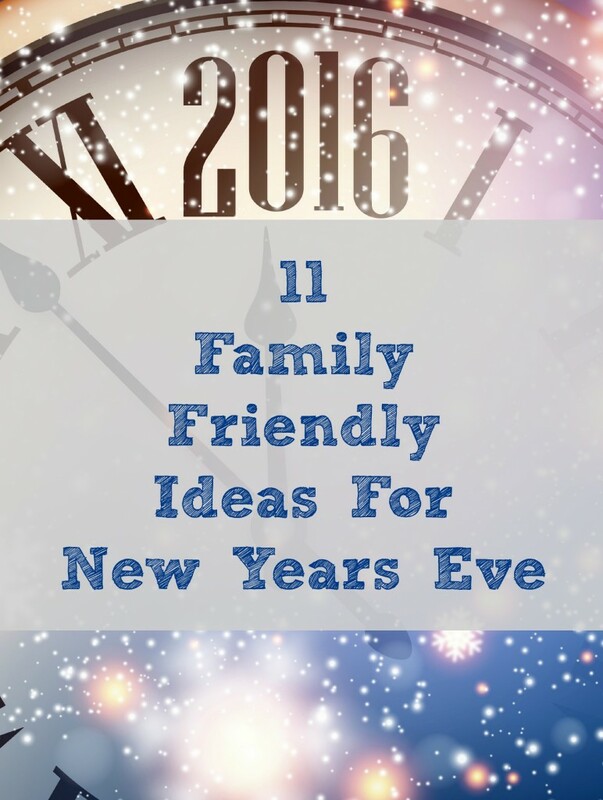 There is no reason your family (ie kid friendly) party can’t include a toast to celebrate the new year. Fill plastic champagne glasses from the dollar store with clear soda, sparkling grape juice, or ginger ale. Get the other families in your neighborhood involved. Set up tables in a central location and have everyone bring a dish. You will get a lot of adult interaction and playmates for your kids. Pool your funds to buy fireworks for a neighborhood show if it’s allowed in your area. A fun idea that will keep the kids busy is to make your own party hats and noisemakers instead of buying them. The noisier, more sparkly, and goofier the better! With really little ones you don’t have to shoot for midnight. Celebrate and be done by nine. It’s your party you can have it when you want to. Fill a plastic container that has a tight fitting lid with predictions for the new year, letters to your futures selves, family pictures, newspaper articles, etc. Place it in a sealed plastic bag and bury in the yard (or stick it up in the closet) to be opened on the next New Year’s Eve. Right in the living room, have the whole family get into their pj’s and watch movies or the ball drop in Times Square. Spend the whole night cuddled up on pallets or the couch. Take photos of your child in the same spot, shirt, etc.. every year to document their growth. Get creative, take photos of your family holding up the numbers of the year or twisting their bodies into the number shapes. Put a treat, a joke on a slip of paper, or a small toy in 12 (or however long you want to make it) decorated paper bags, let the kids open one each hour from noon to midnight. Research New Year’s festivities in other countries – for example Chinese New Year is actually celebrated in late January-February. Celebrate New Year’s with your kids by making a round cake and using gel frosting writers to make a clock face, bake cookies but use number cookie cutters to shape them, bake crescent rolls in the shape of the year, the ideas are endless! New Year’s Eve is such a fun night! But whether you’re hosting a party or not, it can be costly. If you’d rather not start the new year having just spent a small fortune, you’ll have to stick to a budget. But how do you have a fun New Year’s Eve without spending a lot? 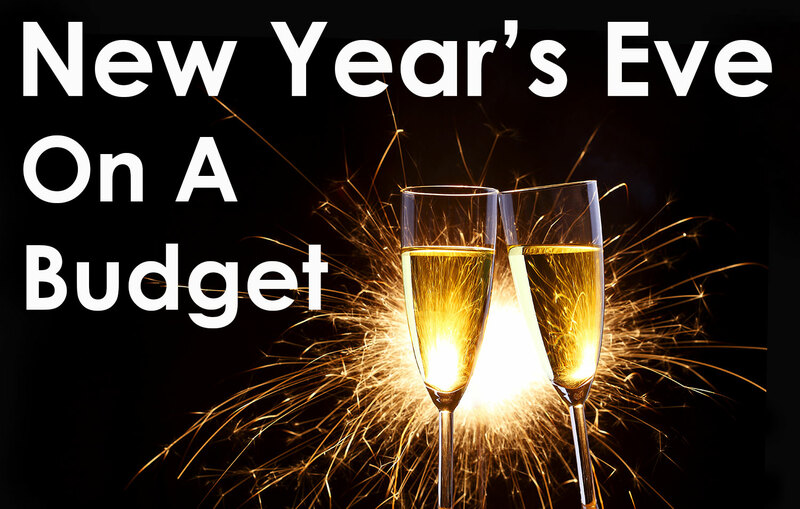 Take a look at these 10 Tips to Help You Have a Wonderful New Year’s Eve on a Budget! 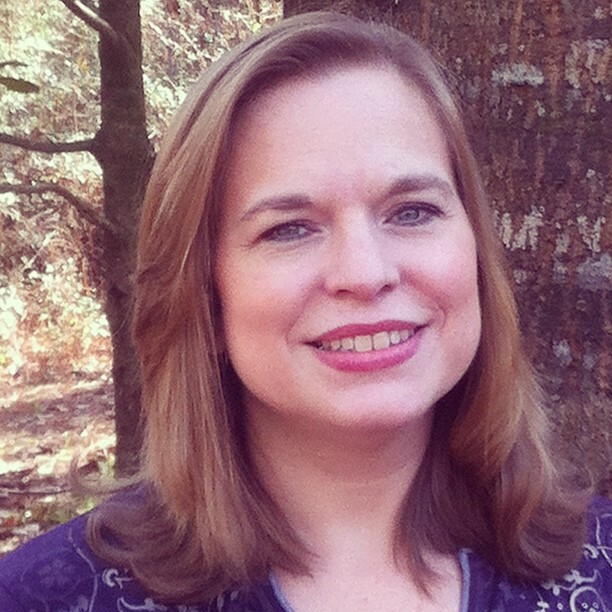 New Year’s Hoppin Eve Giveaway Winner! Thanks so much to everyone who entered our “New Year’s Hoppin’ Eve” Giveaway of a $50 Amazon gift code! We had nearly 4,000 entries and I’m excited to announce that the winner is Jean B.! Congrats Jean, I’ve emailed you with further instructions for claiming your prize. There are some other amazing giveaways coming up soon so stay tuned! Thanks so much for a fabulous 2011! Wishing you all a healthy, happy and prosperous New Year! New Year’s Hoppin Eve Giveaway! Get ready for 2012 by entering to win tons of prizes! 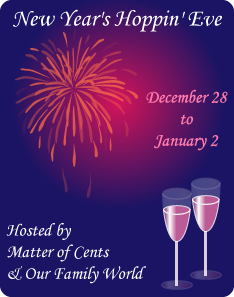 The “New Year’s Hoppin’ Eve” Giveaway Event is hosted by Matter of Cents and Our Family World. 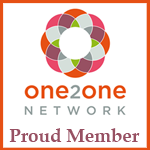 More than 100 blogs have joined together to give their readers several chances to win! Swagbucks is also sponsoring a Kindle Fire as the Grand Prize! Will luck be on your side when the Winners are chosen? You can’t win if you don’t enter. Good luck! Thanks so much to Swagbucks for sponsoring the grand prize. Swagbucks.com is the online rewards community that works, rewarding people for all of the things they’re already doing online – search, games, watching videos, shopping, surveys and more! The Swag Bucks earned by users have helped purchase everything from diapers to video games – it’s easy, it’s rewarding, and it’s 100% free! Enter to win the Kindle Fire Grand Prize here after you’ve entered through the form below to win a $50 Amazon Gift Card from us at Shopper Strategy! To enter just do any or all of the things listed in the Rafflecopter widget below. Click ‘more’ below to view the form. It may take a few seconds for the widget to load but if you have any problems viewing it just refresh your browser. Bring In The New Year Cash Giveaway! Welcome to the Bring in the New Year Giveaway! I have joined with Coupon Spice and some other great bloggers to bring you this giveaway for $125 Paypal Cash! 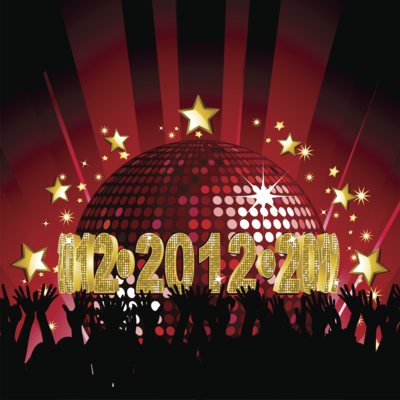 Let’s celebrate 2012 together and start the year out right with a cash prize. This Giveaway starts at 12:01 (EST) on December 27, 2011 and will end at 11:59 PM (EST) on January 1, 2012. This Giveaway is in no way sponsored or endorsed by Facebook, Twitter, Google or any other website. 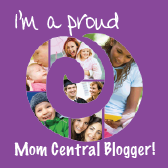 It is sponsored by the Bloggers listed on the Rafflecopter Entry Forms.